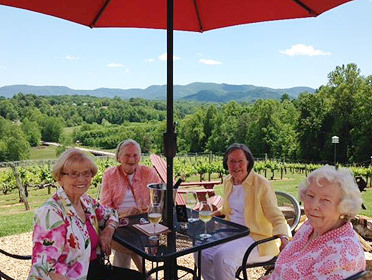 Life Plan Community - Grace Ridge Retirement Community - Morganton, N.C.
Grace Ridge is all about life. Planning it. Living it. Loving it. That’s why we “retired” the Continuing Care Retirement Community (CCRC) moniker and adopted Life Plan Community as our new designation. For years, the name Continuing Care Retirement Community has given people a misleading impression of what communities like Grace Ridge are. They looked at CCRCs as being all about ‘care,’ when in reality, the people who move here are all about getting the most out of life. The new name is an important shift from passive care to more active living and planning. Today’s Life Plan Communities are nothing like the CCRCs of more than three decades ago. We’re proud of our health care services, but Grace Ridge offers so much more – from fitness and wellness programs to creative dining and diverse social outings. Everything we do fosters total well-being – mind, body and mood. To learn more about our Life Plan Community transition, read our blog.